Wednesday - 9.30 am to 5.00 pm. The Marion and Elizabeth centres are open until 6.00 pm. 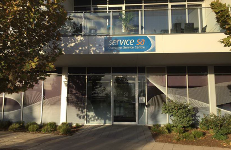 You can provide feedback on your experience with Serivce SA. Each Service SA customer service centre has a hearing assistance device and is accessible for mobility-impaired customers. aquaculture lease and licence renewal. Southern Yorke Peninsula (SYP) Community Telecentre Inc.
pay fees by cash, cheque, EFTPOS or credit card (Visa and Mastercard only).